Cruising is our family’s favorite way to vacation. However, our first cruise was a bit of an adventure. We had no clue what we were getting ourselves into. Thankfully, my parents were cruising veterans and prepared us well. Even so, we’ve learned a lot about cruising over our multiple cruises to date. We want to share the following cruising secrets we feel every cruiser needs to know whether they’re first time cruisers or veterans. Some of this may be stuff you already know, but I bet everyone finds at least a few tips that are new to them. If you’re new to cruising, you may not be aware of the many hidden costs that aren’t included in your cruise fare. 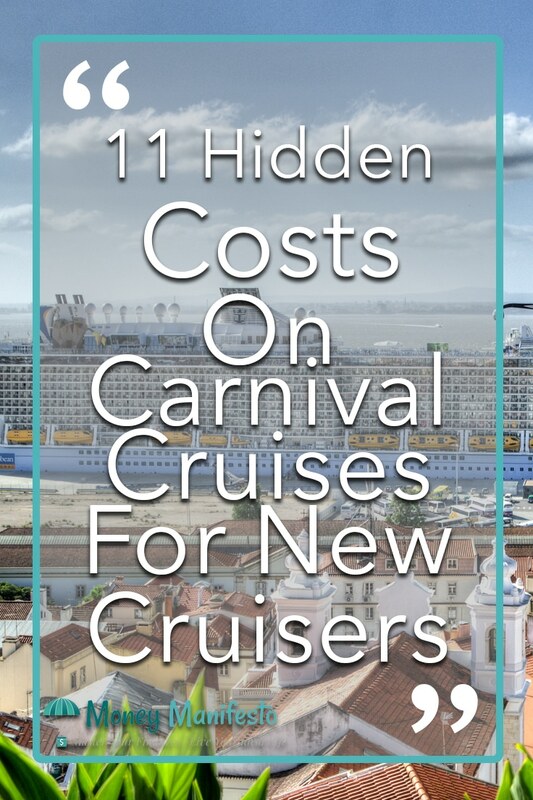 To learn more about these, please check out our post that details 11 hidden costs on Carnival cruises for first-time cruisers. 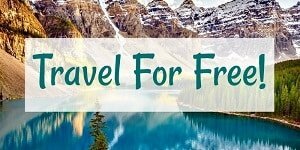 Many of these costs are also applicable on many other cruise lines such as Royal Caribbean, Disney, Norwegian Cruise Line, MSC, Celebrity, etc. You have to pay port fees and taxes in addition to the cruise fare. You should pay daily gratuities per person as the cruise line recommends. Specialty dining restaurants cost extra but may be free during lunch. It can cost a lot to get to your cruise port and back home. You have to pay for internet on the cruise ship. There isn’t much to do in some ports unless you take an excursion. You can book excursions through the cruise ship or through local companies. You can get your picture taken for free, but they aren’t cheap to purchase. Spa visits and other special experiences cost extra. When you’re preparing for your first cruise, you have no idea what will actually happen on your cruise. Here are a few things we wished we knew before we set out on our very first cruise. If you’ve been reading about different cruise lines, you’ve probably realized they have different dining venues and entertainment depending on the cruise line you choose. What you may not have realized is each ship has different dining venues and entertainment options, too. Just because Carnival loves to talk about Guy’s Burgers doesn’t mean every ship has a Guy’s Burgers. If you absolutely must watch an IMAX movie at sea or some other thing, make sure your ship has the features you want by researching the ship before you book your cruise. If this is your first time cruising, you definitely want to set a budget. There’s so much to see, do and buy on your first cruise that you can easily spend more than you planned if you aren’t careful. Check your account balance at least once a day and make sure you’re sticking to the budget you planned before you got on the cruise ship. This will help you avoid a nasty credit card bill when you get home. You can check your account balance at kiosks, the customer service desk or sometimes on your TV depending on your cruise ship. Need some help setting a budget for your cruise? 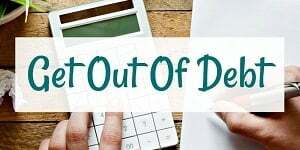 Check out our travel tips and tricks page that lists cost reports that show exactly how much each of our past cruises have cost us. No matter how good you are at packing, you’re probably going to overpack for your cruise. While there is usually plenty of room in your stateroom for your stuff, don’t bring more than you’ll actually use. Lugging luggage around can be a pain so don’t pack more than you need. Do plenty of research to find out what you’ll actually wear and use rather than packing everything just in case. Much like you can’t take certain things on an airplane, you can’t take certain things on a cruise ship. For instance, most cruise lines won’t let you bring your own alcohol on the ship. While some people will try to use Rum Runners to try to get around it, cruise lines have mostly caught on and confiscate contraband when handling your luggage through the porters or through security when you board. Some lines allow you to bring wine in your carry-on, so check with your cruise line’s rules. Other common things you can’t bring include weapons, fire hazard items such as hot plates and candles. For a full list, check your cruise ticket contract or cruise line’s website. If you want to feel a bit more at home when you start your cruise, take a while to familiarize yourself with your selected cruise ship’s deck plans before you leave. Taking just a few minutes to figure out how to get from your stateroom to your dining room or other popular spots will prevent a lot of confusion once you’re onboard. You may not think it matters which cabin you pick after you decide on whether you want an inside or balcony stateroom, but most people find out it matters after a bad experience. In general, try to book a room that’s above and below other cabins rather than entertainment or dining venues. This way, you can avoid being right above or below the disco that plays loud bass long into the night. If you don’t want a ton of people passing by your room and possibly talking loudly, book your room at the end of a hallway that has a dead end. Similarly, if you don’t want to walk a lot, book a room near an elevator. If you want to make a few new friends on your vacation, make sure to check out the Roll Call forums on Cruise Critic’s fantastic cruising forums. Find your cruise line, cruise ship and sailing date to find people you’ll be cruising with. Recently, Facebook Groups for your cruise date have grown in popularity, too. Since most people are already on Facebook, finding a group for your cruise ship and date is easier than ever. If you’re like me and prefer having a drink available at all times, bring your own cup. Personally, I bring my knock-off Yeti tumbler to keep my drink cold. The cruise ship bars and buffets only have small glasses that are about 8 to 12 oz each. If you forget to pack something, it’s going to cost more to buy it once onboard if you can buy it at all. For instance, if you forget diapers for your child or sunscreen, expect to pay at least double what it would cost you to buy the same thing on land. If you plan on bringing phones, tablets, laptops, cameras or other devices that need to be charged, you might be shocked to find your room may only have one or two outlets. To solve this, find out what type of power strips your cruise line allows. In general, surge protectors aren’t allowed but multi-plug devices like this one are usually allowed. Also, the location of your outlet may not be super convenient. You may want to bring a small extension cord or ask guest services for one, especially if you need to bring a CPAP machine. Thankfully, we were cruising with my parents who had cruised before. If we weren’t, we would have had no clue what types of clothes to pack. Most cruise lines are super casual during the day and sometimes at night, too. However, some have fancier dress codes at night that require pants and collared shirts. Most cruises also have a formal night where you have to be at least somewhat dressed up for dinner. As a guy, I usually get away with khakis and a collared shirt, but some people go full out and wear tuxedos and formal gowns. Research your particular cruise ship and their dress code to make sure you don’t feel uncomfortably underdressed or overdressed on your cruise. This can also help you cut down on how much you pack, too. While it’d be nice if bags never got lost, occasionally a few bags won’t make it to the appropriate staterooms. To prevent a catastrophe, make sure you mix what you pack for each person in multiple bags. This way, if a bag is lost, you’ll only lose a portion of your clothes until your luggage hopefully shows up later in the cruise. You don’t have to take a carry on bag with you on the ship, but I highly suggest you do if you have necessities such as medication. This way you’re absolutely sure you’ll have what you need on your cruise. If you want to swim in the ship’s pools on the first day, pack your swimsuit in your carry on, too. Normally luggage doesn’t arrive until the evening on the first night. To cruise, you’ll need identifying information such as your passport or birth certificate to check in. Do NOT pack this in your checked luggage as you’ll have no way to access it until you get on the ship. Keep your passport or other identifying information with you or you may not be able to board the ship. Many cruise lines now have apps you can use to keep up with what’s going on throughout the ship each day. If you download the app at home on your WiFi, it’s one less thing to have to deal with after you get onboard. Your cruise ship may offer special events such as a white-hot dance party where everyone is supposed to dress in white. If this is your first time cruising, you’ll have no idea these events will happen. Instead, research what parties or theme nights your cruise line normally hosts so you can be prepared and join in on the fun. After you research everything and pack for your cruise, I bet you think you’re ready to board. Wrong. Unfortunately, while cruising usually doesn’t have any issues with departures or arrivals, you need to be aware of the following when planning for your cruise. Cruise delays are rare but they do happen. In fact, one happened on our very first cruise. While we were out at sea, Hurricane Sandy came barrelling up the east cost closing Port Canaveral the day we were supposed to return home. We got an extra day on our cruise for free but the people on the next cruise lost the first day of their cruise. On a later cruise, the beginning of our cruise was delayed. Due to heavy fog at the port of Tampa, the cruise ship didn’t arrive until the late morning when they usually arrive in the early morning. This meant the cruise ship didn’t leave port until a few hours after the scheduled time. While these delays are rare, you need to have a contingency plan in case it happens to you. The real problem was for the people getting off the cruise ship. If they had flights booked with very little wiggle room, they could have easily missed their flights and gotten stuck with costly rebooking fees. Cruise ship delays aren’t the only delays that can mess up your vacation. If you’re flying to the port the morning of departure and your flight gets delayed or canceled you could miss the cruise entirely. Similarly, you could get left behind if you’re driving and something delays you, such as a massive accident. To prevent the tragedy of missing your vacation, arrive at the cruise port the night before and stay in a hotel. This way, you can wake up relaxed and head to the port without having to worry about travel mishaps ruining your vacation. I believe cruising is an affordable family vacation. That said, there are still plenty of opportunities to save money on your cruise. Here are a few of our favorites we wish we knew as first-time cruisers. When a single glass of soda costs $3 or more on a cruise ship, bringing your own soda can save a family a decent amount of money. Currently, Carnival allows you to carry on one 12 packs of canned soda, juice or other non-alcoholic beverage onboard per person. However, they don’t allow bottled drinks because too many people tried to sneak in booze. Other cruise lines may or may not allow you to do this. Many cruise lines now sell soda packages and alcoholic beverage packages. If you’re a heavy drinker of soda or alcohol on vacation, these packages could save you a decent amount of money versus purchasing beverages individually. However, they’re still much more expensive than you’d pay for drinks on land. The port’s parking lots and garages will almost always be the most convenient. That said, you pay for the convenience. You could easily pay $15 to $20 or more per day to park a car at the port. Thankfully, some port locations have off-site businesses that sell parking for cheaper and shuttle you to the port. You may also be able to leave your car at the hotel you stayed at the night before for a lesser fee and take their shuttle or an Uber to the port. It adds another step and takes a bit longer for the whole process if you park off-site, but you may be able to save $50 or more on a 7-day cruise. Depending on the cruise line you choose and the specific fare you book, you can usually save money if the price for your specific category of stateroom drops. The rules vary, but in most cases, you request a credit or price reduction if the same category stateroom is available at a lower price before your final payment is due. In addition to the same type of stateroom, such as interior or balcony, the category needs to be the same too. For instance, a deck 7 balcony is likely a different category than a deck 10 balcony. Call your cruise line or travel agent to figure out if you qualify. For some specific fares on Carnival, you can even cash in on price drops that occur up to 48 hours before the ship sets sail. We saved $160 on our first Carnival cruise using this awesome feature. When you’re onboard the ship, you’ll see plenty of advertisements for one-time special price sales on everything from t-shirts to high-end watches. While they may feel like a one-time sale to you, these sales happen every single cruise. Cruise lines are still making money hand over fist. Make sure that anything you purchase is actually a good price not just a discounted price from the initially inflated price. While souvenirs can be fun, they’re mostly junk that you’ll never look at again. Before you waste money on a souvenir that will just end up in a closet, make sure you’ll actually use a souvenir before you buy. For instance, we like getting t-shirts because we know we’ll wear them once we get home. We stay away from the tacky Mexican souvenirs like sombreros that may seem fun but will never see the light of day once we get home. The cruise ship will likely have a duty free liquor store with “great” sale prices on various types of alcohol. If you like to indulge in alcohol at home, make sure you know how much it’d cost you to buy your favorite alcohol at home on a per liter basis as most alcohol is sold in one-liter bottles on cruise ships. If the duty-free price really is a good deal, feel free to buy a bit to take home. Just remember, you’ll have to carry it off the ship and take it home. Saving $5 on a liter of alcohol may not be worth the hassle. Don’t expect to negotiate with vendors on the cruise ship itself. That said, you may be able to negotiate with the vendors in ports. While your luck will vary depending on the port and your negotiation skills, you can usually knock a few dollars off the price of the typical souvenirs most people buy. On our first cruise, we bought a hand-painted tile. The vendor wanted to sell it for $25 but we got it for $20. It wasn’t a huge saving but we still saved $5. While you should enjoy a cruise vacation regardless of the below tips, these ideas can make your cruise just a bit more enjoyable. Some people love to cruise because of the different ports they like to visit. However, there is usually at least one less desirable port per cruise. If you can’t find anything you want to do in a port, simply stay on and enjoy the ship while it’s virtually empty. The buffet and pools shouldn’t be too crowded and you’ll feel like you own the place. It’s a nice change of pace after a sea day with everyone packed in a few places. Most cruise lines won’t have your room ready for you if you board early in the day. For instance, Carnival usually has their rooms ready at 1:30 PM. Until that time, you’ll have to lug around anything you brought on the ship. Pack carefully. If you’re willing to pay a little extra for priority boarding and to have your room ready for you when you board, consider purchasing faster to the fun on Carnival. It costs about $50 per stateroom. For the most part, cruise ship staff are super nice and super hard working. If you have any requests, let them know at the beginning of the cruise and they’ll usually do their best to meet most reasonable requests. If you aren’t happy with something, let them know so they can correct the issue. We love chatting with the staff, but remember they have jobs to do, too. When you eat on land, you sit at a table with your party. When you eat on a cruise ship in the main dining room, you may be sat at a table with other guests, too. We found this out on our first cruise. We ended up sitting next to a group that spoke another language. We politely requested a private table and, for the rest of the cruise, we ate with just our party. If eating with just your party is important, talk to the maitre’d as early as possible to request a private table. Alternatively, you can select my time dining or your time dining (the name varies by cruise line) and request a private table when you arrive. During peak times, it can take what feels like forever to find an elevator you can actually get on. Unless you physically cannot take the stairs, consider using the stairs instead. It amazes me how many people get on an elevator to go up or down one floor when it could have taken much less time to take the stairs. Now if you have a stroller or some other reason you can’t take the stairs, you may want to try hitting both the up and down buttons on the elevator and just get in whichever direction has an empty elevator first. The ship doesn’t have 100 floors, so after it finishes going the opposite direction, it will eventually go the direction you want to go. Unless you have amazing willpower or simply don’t like eating, you’re probably going to be stuffed all day. On our first cruise, I can’t imagine we were ever hungry because there was so much good looking food to try. Just remember, you don’t have to eat a ton of everything. Instead, just try little portions of what you want then decide what you want more of. Hopefully, this way you won’t pack on as many pounds as we did on our first cruise. When you get onboard the cruise ship, make sure you explore all of the public areas. While some places will almost always be crowded, such as near the pools, other areas will almost always be empty. If you need a few minutes of peace and quiet, go find those empty spaces and enjoy. Typically, people leave their luggage outside of the cabin on the last night so cruise line employees can move your luggage off the ship for you in the morning. However, if you can carry all of your luggage off the ship yourself, you can usually debark earlier than the zoned deboarding based on your luggage tag number. In general, the ship will pick a time and stick to it, even if you travel through different time zones. For that reason, it is super important to stay on ship time when you’re in port. The ship will leave at its designated time whether you’re onboard or not (unless you’re on a ship sponsored excursion). Keep in mind, cell phones and watches may change their times automatically if it senses you’re in a different time zone. Turn this feature off or grab an old-fashioned watch that stays on the time you set it in. Not sure if you want the prime rib or the lobster tail at dinner on a formal night? You can order one of each or two of an item you really love. You can even order some main items as appetizers, but this mainly works with portions of pasta. If you want to be adventurous but aren’t sure if you’ll like something, get the adventurous item and a safe choice, too. Ship employees love grabbing some free WiFi in port, especially if they’re on an older ship without an upgraded WiFi system. Simply ask a ship employee where the free WiFi is in your next port or follow a few to the local cafe that offers free WiFi if you have to check your email. Some shows are super popular and the venues often have limited seating. This is especially true if you want an unobstructed view. If you’re booking on Royal Caribbean, you may be able to reserve show times before you get on the ship. However, if you’re cruising on Carnival, you’ll just need to show up to the shows you want to see early to get a good seat. The comedy club can get very full on Carnival, so make sure you show up at least 15 to 30 minutes early to grab a seat. While there are TVs in every room, the channel lineup is usually very limited. Don’t expect to have access to Fox News, CNN, HGTV or your other favorite channel when cruising. Each line offers different channels. If your kid wants to bring their PlayStation or you want to hook your laptop up to the stateroom TV to watch Netflix on the expensive cruise ship WiFi, be aware that most TVs don’t allow you to access the input ports if they have input ports at all. When you’re on the cruise ship, make sure your phone is in airplane mode so you don’t get hit with outrageous per minute, per text and per MB of data charges for international roaming. If you want to use your phone in port, make sure you understand exactly how much it will cost by contacting your carrier before you leave. You don’t want to get home and find a $500+ cell phone bill for using your phone on international roaming. Once you set foot on the cruise ship, the only thing you need to carry around with you is your room key. Your room key doesn’t just let you in your room. It’s your payment method, too. You can either prepay cash on the card or attach a credit or debit card to your card to make purchases. It also knows whether you’re over 21 or not for alcohol purchases. So, when you get on the ship for the first time and someone asks if you want a drink and says all they need is to see your card, you’re getting charged for that drink. It’s not free. Every evening your stateroom steward should leave the next day’s activity schedule in your room. Even if you aren’t a big planner, make sure you read the daily activities to see if there are any can’t miss activities you want to take part in. In addition to activities, the sheet normally lists the operating hours of many dining areas and other activities as well as important phone numbers and information for that day. 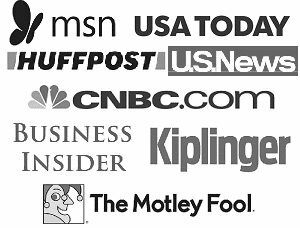 I hope you learned at least a few new tips, trick, ideas, hacks or cruising secrets that you didn’t know before you read this article. 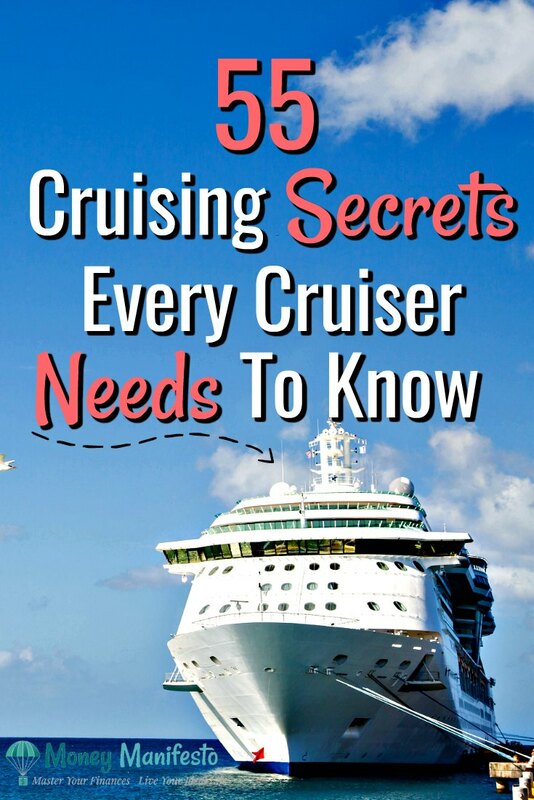 That said, if I missed a cruising secret, make sure to share it in the comments below so everyone can benefit. I may even add it to the article! Be sure to pin this post for later so you can come back to it right before your cruise. That way you won’t forget any of these important tips. Great tips! Perfect for our upcoming cruise.